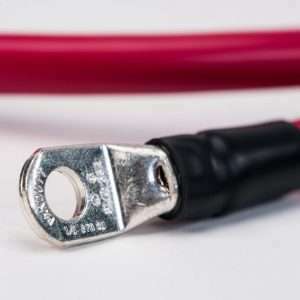 Spartan Power 4/0 AWG 1 Foot Battery Cable Sets come professionally pre-assembled with 5/16″ and are perfect for connecting up to a 3500 watt power inverter to a battery bank! 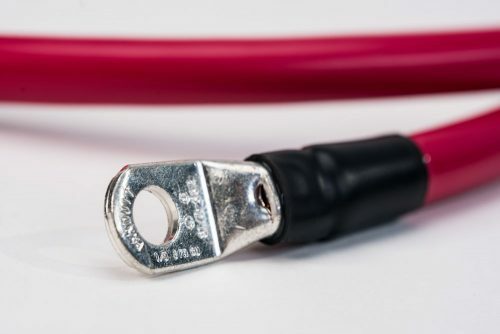 You can also use Spartan Power battery cables for RV & vehicle wiring applications, grounding cables, golf cart wiring, and many other applications where pure copper is recommended. 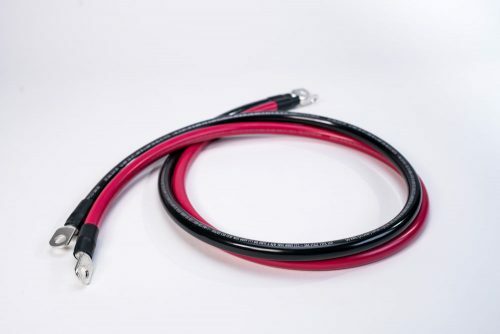 These cable sets come with Adhesive Lined Irradiated Polyolefin (PO) heat shrink, which is exceptionally resistant to water, fungus, and UV light. 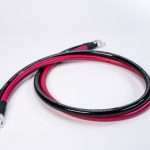 These quality cable sets are guaranteed by both Inverters R Us & Spartan Power to provide you with reliable current.